Founded in 2009, Netsec Interactive Solutions—A Romanian IT security company—provides VPN.ac, a service that has a vast reach across Europe and offers a whole lot of value for money. If you have the fastest internet speeds on the planet, they are still going to be negatively affected when you use a VPN; because a VPN tunnels your internet traffic and routes it through several servers, speeds drop slightly, and this is to be expected. Better VPNs, however, don’t have as much of an impact on speeds and some barely have an effect at all. With VPN.ac, we noticed virtually no drain on our download and upload speeds. VPN.ac is a smaller service that doesn’t have as many users and therefore, you’ll find there are more resources to go around for their users. We’re very satisfied with these speeds. VPN.ac is a solid choice if you prioritize speed and are based in either the US or Europe. Like most VPN providers, VPN.ac has several different payment plans. All payment plans give you the same thing—full access to the VPN.ac product—however, there is the option to save money by purchasing a bulk subscription. If you just want to test the waters, you can opt for the $9 monthly rolling plan, whereas you can save 46% by subscribing for a year. 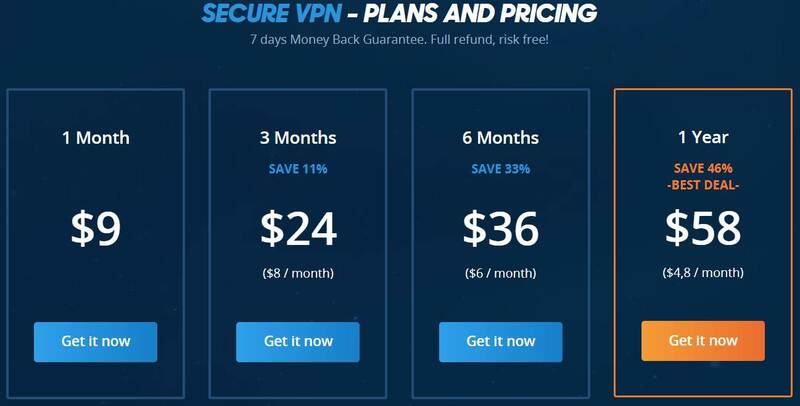 By subscribing for a year, you end up only paying $4.80 per month on average instead of $9, and this makes VPN.ac one of the fairly priced VPNs available. That’s a great deal for everything you’re getting. VPN providers are starting to offer more and more payment methods, and VPN.ac is no exception to this. You can pay for your subscription in virtually any way possible (apart from sending gold and silver via a messenger pigeon – sorry for the disappointment). PayPal and credit or debit cards are offered as standard, as are cryptocurrencies (Bitcoin, Ethereum, Ripple, and even Dogecoin.) The only payment method that isn’t offered that we sometimes see with VPNs is cash, check and gift cards. While cash payments take more time, they offer ultimate privacy and security. Still, seeing a range of crypto options is a win in our books! Device Compatibility: Use it on everything! VPN.ac is available across all the major consumer devices. This includes Mac and iOS, Windows, and Android. In addition to this, you can use VPN.ac on a router with DD-WRT, Tomato, and OpenWRT among other things. When using VPN.ac, you can have six different device connections active at one time. Whilst VPN.ac itself does not natively support devices such as games consoles and TVs, by installing VPN.ac on a compatible router you can protect all devices connected to it at the same time. So, even though a television cannot have VPN.ac installed on it, by connecting your television to a network secured by VPN.ac you will still be protected by the service. Signing up to VPN.ac takes a matter of minutes and you only need to provide very basic information such as your email address and a password. You can then pay for your plan via your chosen payment method and download the VPN.ac client from their knowledge base. The product interface was good; however, there were one or two slight glitches when trying to click on things. This may be a bug that will be fixed further down the line. From within VPN.ac, you have lots of control. 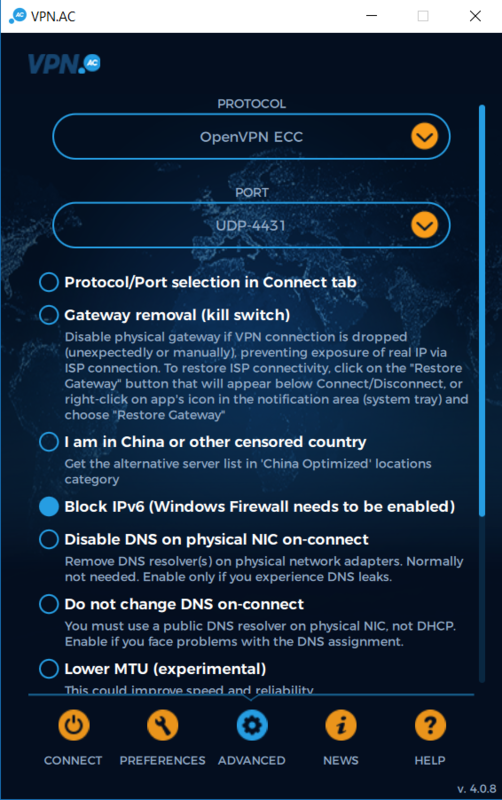 Countries and servers are sorted by region and you can even go into advanced settings to control which protocols the VPN uses, whether you want to use the kill switch or play with other settings such as configuring your DNS if you know how. VPN.ac offers the OpenVPN protocol. OpenVPN is currently the industry-leading tunneling protocol that offers the highest levels of safety and security. Alongside OpenVPN, 256-bit AES is used as an encryption method. These are both the latest protocols and encryption methods that offer the highest levels of security possible. Instead of these, you can opt to use L2TP/IPSec or PPTP from within the VPN.ac app. We don’t recommend doing this if you are concerned about your security, however. VPN.ac has a kill switch that can be toggled from within the VPN.ac app under the “Advanced” tab. At the time of writing this, VPN.ac has 111 servers operating across 24 countries including the US, Europe, Australia, and Asia. Current offerings including their status can be seen on the VPN.ac status page. Overall, it’s not the most servers we’ve ever seen, but it’s enough to provide a decent service, combined with their great speeds, mentioned above. VPN.ac allows you to participate in torrenting and you’re completely free to use their servers for the downloading of games, music, and movies via torrent (legalities aside). You can only use specific servers, though. There are a few torrenting-friendly VPN.ac servers and you can use these freely. If you use any of their other servers for torrenting then you could end up having your access to the VPN restricted. If you feel like you need more VPN options for torrenting, we got you covered with our top torrent-friendly VPN recommendations. VPN.ac offers all customers the opportunity to get their money back by emailing in a request within seven days. This is a guarantee and you can get a refund for any reason so long as it’s within seven days. So, you may as well go ahead and subscribe to the annual plan anyway. If you don’t like it, you can always get your money back. However, we’ve seen more generous refund policies, up to and including 30 day periods. We’d love to see VPN.ac stretch their policy to this kind of time-frame, to give customers a good chance to understand whether the service is right for them or not. VPN.ac support is offered through a ticket-based system. While this is fine, it is rather basic, and we do like seeing VPN providers offering live chat or at least support through social media. They also offer Skype-based support but it’s understandable that the more privacy-conscious user may not want to do this. Given that it’s a ticket-based support system, replies to queries are not instantaneous and this can be frustrating in certain circumstances. Their ticketing system has a priority system that lets you dictate how important your question is, with high priority tickets attracting faster replies. Overall, a middling support system; we like the Skype option because it’s different, but many VPN users won’t opt for it. We’d like to see VPN.ac include a live chat system, but until then, this is a solid neutral for us. 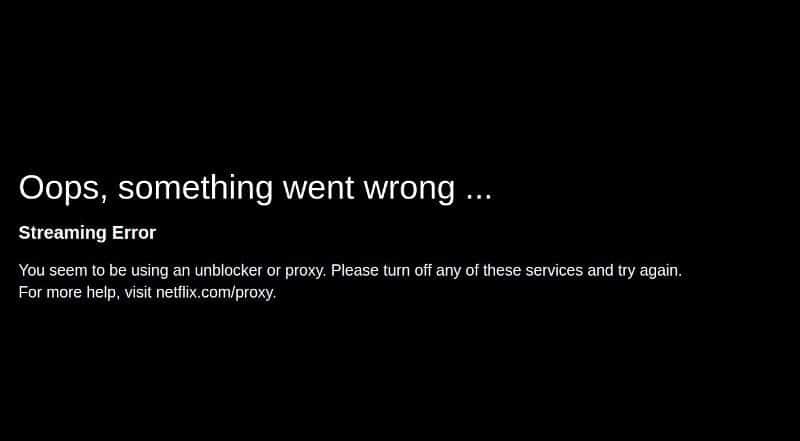 Netflix has recently been cracking down on VPNs that skirt around the geo-restrictions put in place and unfortunately, VPN.ac has fallen victim to this. When we tested it out, we couldn’t access Netflix on any of the servers we tried and can only assume that it’s the same story for all VPN.ac’s servers. VPN.ac has a page on their website about this and it doesn’t look like this is going to change any time soon. There are VPNs that invest more in keeping up with Netflix’s geo-restrictions. We suggest you stream with these VPNs instead. Given that they are based in Romania, it would be hard for law enforcement to compel them to pass over information. On top of this, the information is never disclosed to third-parties. Regardless, the IP logging is certainly something to worry about. VPN.ac is operated by a Romanian country called Netsec Interactive Solutions. Their website claims that each member of their team has over 14 years’ worth of experience in IT security and regularly provide penetration testing and auditing services for their clients in addition to their consumer-focused VPN. Their company is certified to ISO/IEC 27001:2005 and ISO 9001:2008 standards by the United Registrar of Systems. This is an independent body based in the UK that provides global certifications. The VPN.ac service has been fully developed in-house by this same team of IT security specialists. VPN.ac’s parent company is based in Romania. Romania falls outside the security alliance known as 5 (9 and 14)-eyes. This means that even if some of your personal information is collected, it does not have to be shared with any outside countries such as the US or the UK; they cannot be legally forced to. VPN.ac is certainly a strong contender. Offering lots of servers at high speeds and an app that gives the end-user a great degree of control, VPN.ac could be a solid choice for any user. Their encryption is solid, their app is easy to use, and they are based within a country that will not disclose information if requested. However, the IP logging is a huge red flag and they also don’t offer Netflix streaming options. While they are nothing overly special, there’s very little to say in terms of negatives, either. But if you want to read some of our rave reviews, simply check out our top 10 list.